Facing criminal charges can be a frightening experience. It is very important that you retain a criminal defense attorney in this type of situation. We work with an attorney that has extensive experience handling criminal matters in the New York Courts, both State and Federal, and who has successfully represented individuals charged with matters ranging from minor violations, sophisticated frauds, financial crimes and DWI/DUI to murder. When making an arrest without a warrant a police officer must tell you the reason for the arrest, unless you are in the act of committing the crime or are being chased. The arresting police officer must also read you your rights. You have the right to ask to see a copy of the rights. You also have the right to speak to the custody officer who is looking after you. You have the right to make a phone call to notify someone of your arrest. You may also request to speak to your attorney in private to discuss the reasons for your arrest. You right to have a lawyer is a fundamental one at every stage of a criminal proceeding. If you appear in a court without a lawyer, the judge must allow you a “reasonable time” to find one before proceeding with the case, which usually means a few days. Call Khashmati and Associates, P.C., if you were arrested and need an assistance of an experienced criminal defense attorney. Our experienced attorney will be able to handle your matter at any stage. 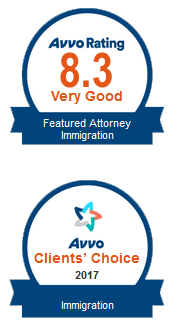 Khashmati and Associates, P.C., handles all immigration matters. Call us to schedule your free consultation.